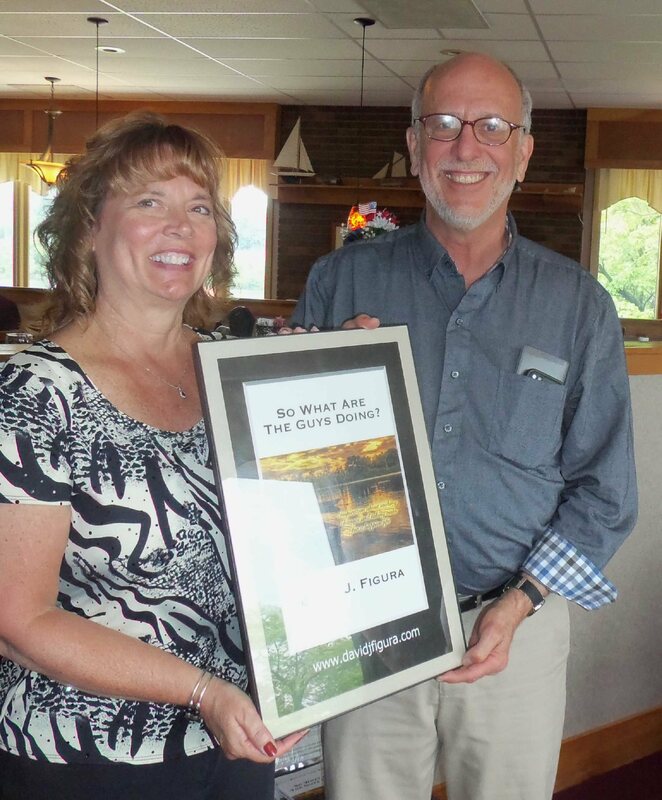 FULTON – David J. Figura, an outdoors writer with Syracuse.com and a resident of Skaneateles, brought his book “So What Are The Guys Doing” to the Fulton Rotary Club at a recent meeting. David Figura and Nancy Kush Ellis. Figura interviewed 50 men between the ages of 40 and 61 to learn about what men think about their lives. Pictured, he shows a poster to Fulton Rotary Club Program Chairman Nancy Kush Ellis.